A combination of rosewood piano finish and beveled glass. The combination of these two materials truly brings to the table one of the most elegant yet inexpensive presentations for a glass award. Rosewood finished bases and accents on these piano finish glass awards with free engraving and shipping in the glass portions of the award. 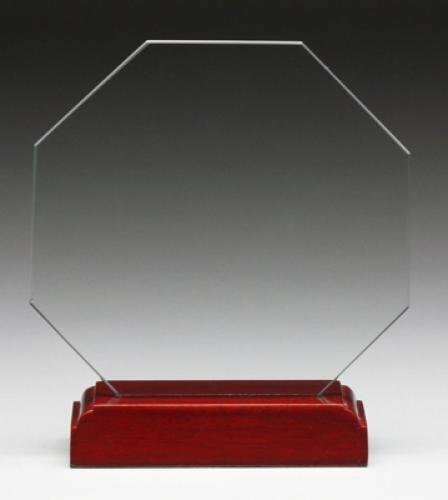 Several shapes and sizes available for these Rosewood Glass awards.